Kobus Moolman was born in 1964. He has a Masters degree in English and an Honours degree in Drama Studies from the University of KwaZulu-Natal. He has worked as English teacher and sub-editor on The Witness. He was formerly head of the Education Department at the Tatham Art Gallery in Pietermaritzburg, a position he held for thirteen years. He is currently a lecturer in creative writing in the Department of English at the University of KwaZulu-Natal in Durban. In 1992 he was a finalist in the Amstel Playwright of the Year Award. He is the recipient of the BBC African Radio Theatre Award (1987), the Macmillan Southern African Playwriting Award (1991) and in 2000 he won a merit award in the Noupoort Reward for Playwriting. In 1998 he was awarded the Helen Martins Fellowship which enabled him to spend a month in the Karoo village of Nieu Bethesda working on an anthology of poetry. 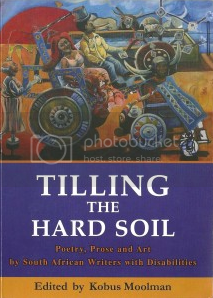 This collection, entitled, Time like Stone was published by the University of KwaZulu-Natal Press in June 2000. 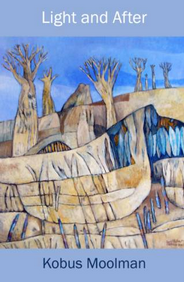 The collection was awarded the Ingrid Jonker Prize for 2001, the premier South African award for a debut anthology. 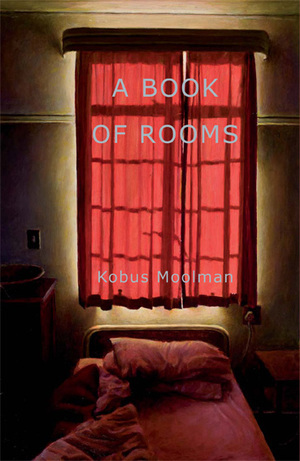 In 2001 Moolman was one of five South African poets featured in a collection by Botsotso Publishers, entitled simply, 5 Poetry. In 2003 he was awarded 2nd prize in the BBC African Performance radio drama competition. His winning play was produced for the BBC World Service in April 2003. In the same year it was also read at the Moscow Theatre Festival of New Writing. His second collection of poetry, Feet of the Sky was published by Brevitas Press in 2003. In 2004, he was selected to be one of the invited poets at the Poetry Africa Festival in Durban, where his work was very warmly received. In the same year his play, Full Circle, was awarded the Jury Prize for Best Script in the Performing Arts Network of South Africa (PANSA) Festival of Reading of New Writing. The play premiered at the National Arts Festival in Grahamstown in 2005, directed by Charmaine Weir-Smith, and was critically acclaimed. It was subsequently produced at the Hilton College Theatre in Pietermaritzburg and at the Market Theatre in Johannesburg. The play was also later produced as part of the Southern African theatre season at the Oval House Theatre in London. A collection of his radio plays, Blind Voices, was published by Botsotso Publishers in 2007. The collection is sponsored by the British Council and features a CD of the BBC production of his earlier award-winning play, Soldier Boy. His fourth collection of poetry, Separating the Seas, was published by the University of KwaZulu-Natal Press in the same year. And at the end of 2007 Dye Hard Press published the script of his award-winning play, Full Circle. He was also named joint winner of the 2007 NLDTF/PANSA Festival of Contemporary Theatre Readings of New Writing for his new play, Stone Angel. This is the second time he has won this major South African award for theatre writing. The play premiered at the 2008 National Arts Festival in Grahamstown, directed by Claire Mortimer. He was the founding editor of the annual KwaZulu-Natal poetry journal, Fidelities, which ran from 1995 until 2007. As co-ordinator of the Fidelities Poetry Project he conducted creative writing workshops and readings for a variety of interest groups, from offenders in prison to high school youth. In 2007, he was the convenor and chairperson of the selection committee for the Olive Schreiner Poetry Prize sponsored by the English Academy of Southern Africa. In 2008, he was on the panel of adjudicators for the Ingrid Jonker award. 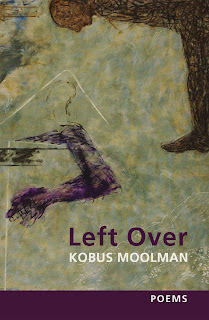 At the beginning of 2008, Moolman participated in a three-week collaborative residency at the Caversham Centre for Writers and Artists in the KwaZulu-Natal Midlands. During this residency he produced a limited edition, hand-bound collection of prose poems entitled Anatomy. This collection will be published in the Journal of Disability Studies (Ohio State University) later in 2008. In 2008, his short story, ‘Farewell At Vetch’s Pier’, was published in the collection, Durban in a Word (Penguin Books). In the same year his play, Soldier Boy, was produced in Latvia by the Theatre Observatory, while Full Circle was produced by the California State Polytechnic University, Pomona. Soundings: an anthology of poems selected from the 1988 Sanlam Literary Award, edited by Douglas Reid Skinner, Carrefour Press (1989); Twenty-Five Years of English South African Poetry, edited by David Bunyan, Institute for the Study of English in Africa (1989); Let Me Be, compiled by David Dawson, Macmillan (1990); The Heart in Exile: South African Poetry in English, edited by Leon de Kock and Ian Tromp, Penguin (1996); It All Begins: Poems from Post Liberation South Africa, edited by Robert Berold, University of Natal Press (2002); From Jo’burg to Jozi: Stories about Africa’s Infamous City, edited by Heidi Holland and Adam Roberts, Penguin Books (2002); glass jars among trees, edited by Arja Salafranca and Alan Finlay, Jacana Media (2003); Lovely Beyond any Singing: Landscapes in South African Writing, compiled and introduced by Helen Moffett, Double Storey (2006). Oh my God. What an accomplished writer.